The organizations that participated in the mission were Broederlijk Denle, Forum from Women and Development – Fokus, Kolko – Menschenrechte für Kolumbien e.V., Oidhaco, Mundubat, the Swedish Fellowship of Reconciliation – SweFOR, and the technical secretariat of ECP, with technical support in the field from the Ríos Vivos Antioquia Movement (MRVA, for its acronym in Spanish). The mission visited the municipalities of Sabanalarga, Toledo, Ituango and the township of Puerto Valdivia in Valdivia (Antioquia). The MRVA is a movement comprised of fifteen grassroots social organizations made up of women, youth, barequeros (artisanal gold miners), fisher men and women, muleteers, small-scale farmers, and others who identify themselves as impacted by the Hidroituango megaproject and desire to remain in their territory and defend it. Most of its members also identify as victims of the armed conflict. 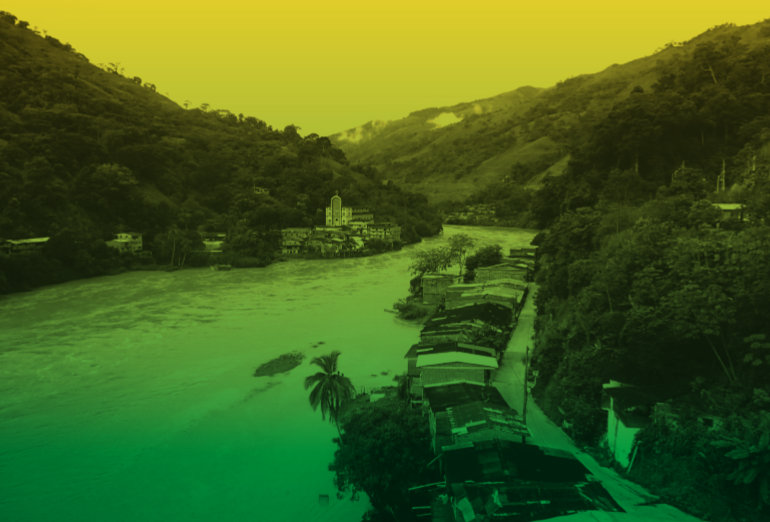 During the mission, meetings were held with communities and organizations of victims and impacted youth, women, miners, fishermen and women, and barequeros that are part of the Ríos Vivos Antioquia Movement. On an institutional level, there was a meeting with the Secretary of Government of Valdivia, in representation of the Municipal Mayor’s Office. The Ituango Mayor’s Office decided not to meet with the mission, and it was not possible to meet with the Toledo Mayor’s Office. To write this report, information was gathered from Early Alerts and Risk Reports produced by the Human Rights Ombudsman’s Office of Antioquia. The Governor’s Office of Antioquia, the Toledo Mayor’s Office, and the Public Utilities Companies of Medellín (EPM) provided information in response to freedom of information requests sent by the Espacio de Cooperación para la Paz. The offices of the mayors in the municipalities of Sabanalarga and Ituango did not respond to these requests.